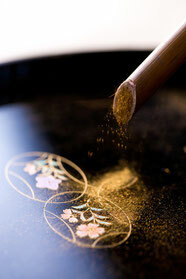 about Japanese Lacquerware "漆器 - Shikki "
It is said that the history of Japanese lacquer has its origins in Ancient China. 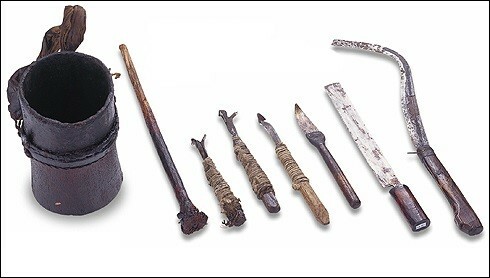 In Japan, some pieces of lacquerware have been found in archaeological site dating from about 9000 years ago. mother-of-pearl shell, since lacquer is also a highly effective adhesive. to all over Japan. Interest was shown nationwide in lacquerware and the Japanese lacquer industry became increasingly active with support of its government and craft guilds. Carpenters throughout the country were producing lacquer bowls, trays, and tables. mother-of-pearl inlay lavidly. Japan’s lacquerware started to enjoy great popularity. 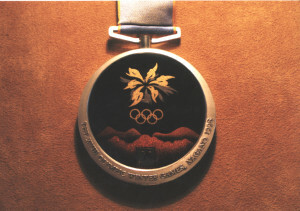 The Nagano 1998 Olympic Winter Games medals were created in lacquer (Kiso Lacquer). 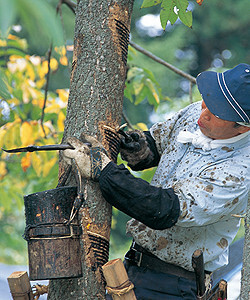 The lacquered parts were done individually by artists from the Kiso region. The decoration technique adopted has fine gilding (or called "Maki-e" in Japan), with so-called Shippoyaki (i.e. cloisonné techniques) and is metalswork in precision. The obverse represents the rising sun in Maki-e. The sun rising over the Shinshu mountains! 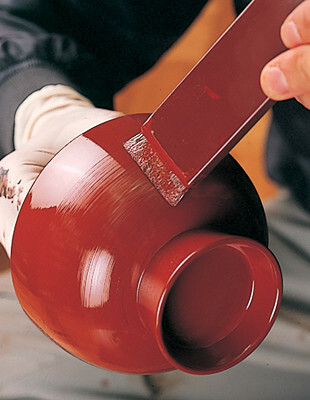 The Japanese government has identified 14 major lacquer centers, each with their own unique style and application of the lacquering process.